May not be Practically Indestructible! Rhodium plated for a nice shiny finish! For Marvel and Captain America Fans! 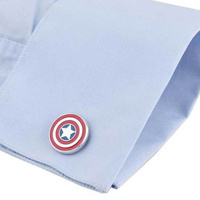 Introducing the all new Captain America Shield Cufflinks. 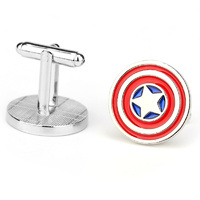 In the classic Marvel stories Captain America's iconic round shield is manufactured from Adamantium, Vibranium and Iranium alloy and is practically indestructible! 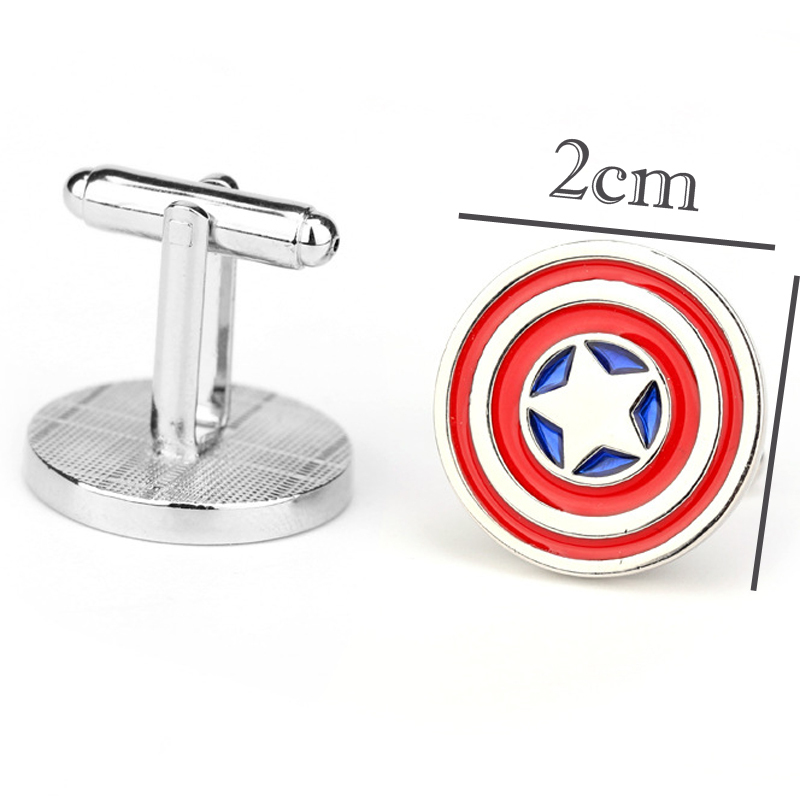 And although these 2cm sized Captain America Shield Cufflinks may not be indestructible they certainly are stylish, are hard wearing and designed to last. Awesome as a corporate gift or as a cool present for that Captain America or Marvel fan you know. 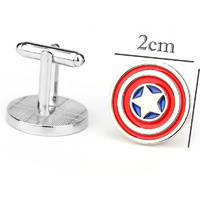 While not strictly approved by Dr. Abraham Erskine, the inventor of the Super Soldier Serum, please be warned that these Cufflinks might exhibit side effects to anyone who attaches them to their favourite shirt. Side effects may include "Strength, Agility, Endurance, Speed, and Reflexes superior to any Olympic-level athlete." 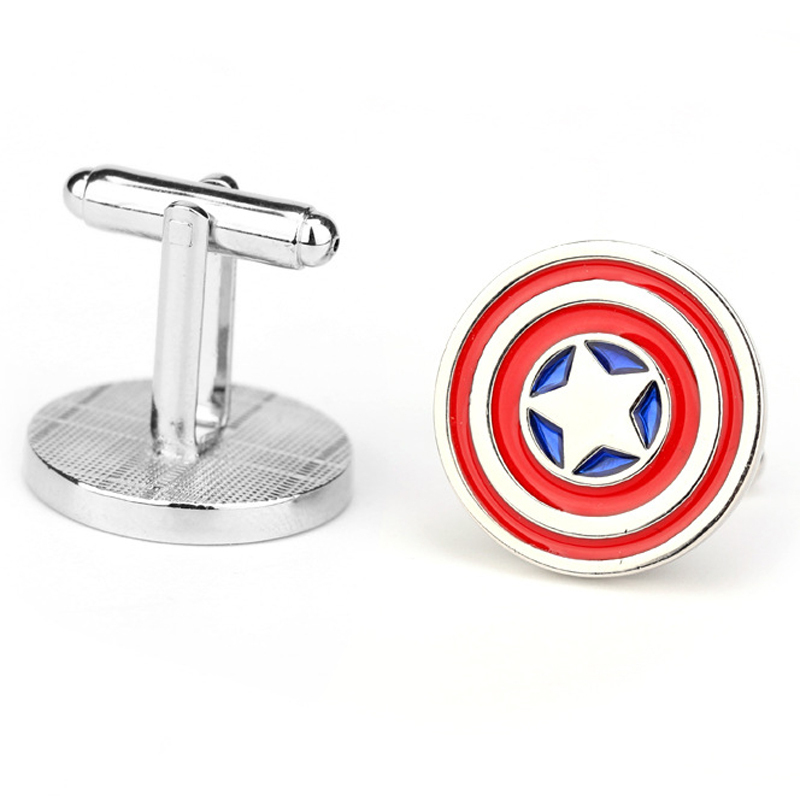 Each Cuff link has a bullet back closure for easy put-on and take-off use and are Rhodium plated giving you a cufflink with a nice super hero shine and quality finish. 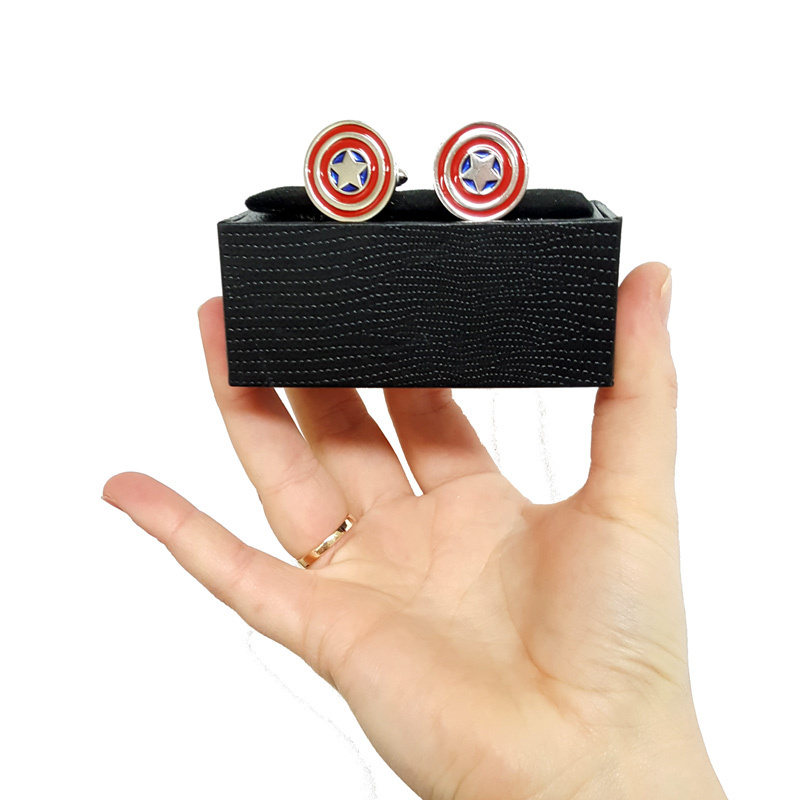 All Captain America Shield Cufflinks come as a pair and are packed inside a cool black gift box.